Dr. Grady Hunter has a massive vampire infestation on his hands. Unfortunately, he can't seem to make any progress in dealing with it even after enlisting help from a supernaturally science savvy techno-mage. 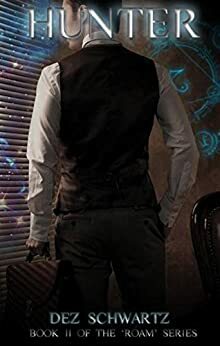 As Ethan Roam returns from dream traveling, the pair find themselves in a race against time, and a dark looming force, as a familiar blond vampire reappears and extends his loyalties to Ethan. Can he be trusted or are his motives sinister? How is the vampire cult connected? And are there even bigger foes that they should be concerned with? Grady must fight to keep an ever-evolving Ethan on his side while being challenged by the ghosts of his past and the demons of the present.